Many communities have started focusing their attention on making their cities safer for bicyclists and pedestrians. They have devoted substantial resources to planning and designing roadways that can handle all types of travelers. California has long been one of the most dangerous states for pedestrians and cyclists. The state consistently ranks in the top ten when it comes to fatalities in pedestrian accidents. City planners and law enforcement agencies have made reducing the number of these deaths one of their top priorities. Recently, a bill was proposed that would force motorists to give cyclists three feet when passing in the same direction. This would allow cyclists to have more space when riding on roadways throughout the state. If the circumstances would not allow a motorist to yield the three feet, they must slow to a sufficient speed and pass only when safe. Those who are caught violating this law could receive a traffic ticket. Similar laws have been vetoed in the past, but legislators feel this bill is necessary due to a gap in current laws. Like many other jurisdictions, California already has a law that requires motorists to give cyclists room when passing. However, these laws do not specify what distance is considered to be safe, leaving it to the motorist’s interpretation. This means different things to different drivers, which may unfortunately lead to more accidents. While the San Jose area is always a popular place for pedestrians and bicyclists, motorists need to take extra caution when school is in session. Students walking to school or buses greatly increase pedestrian traffic in the region, and motorists should build extra time into their schedules if they are traveling near school zones. 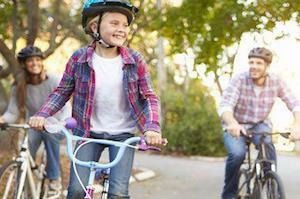 If you or a loved one has been injured in a pedestrian or bicycle accident, you need to speak to an experienced personal injury attorney about the claims that may be available to you. Each accident is different, and it will be important to examine the accident and your injuries to determine the compensation that may be available. Because these injuries can be severe, it is important that you obtain a clear picture concerning the value of your claims. This will allow you to understand whether or not the offers you are receiving to settle your case are sufficient. In some situations, you may need to go to trial in order to recover compensation from the responsible parties. 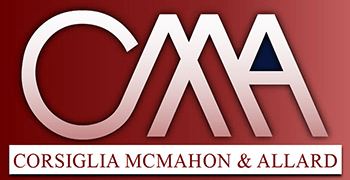 The personal injury attornies at Corsiglia McMahon & Allard, L.L.P. can protect your interests as you recover from your injuries and also help you present your claims at trial. This will help ensure that you are able to cover the expenses that resulted from the accident, and also help you pay for any long-term care that may be necessary. Contact us at (408) 289-1417.